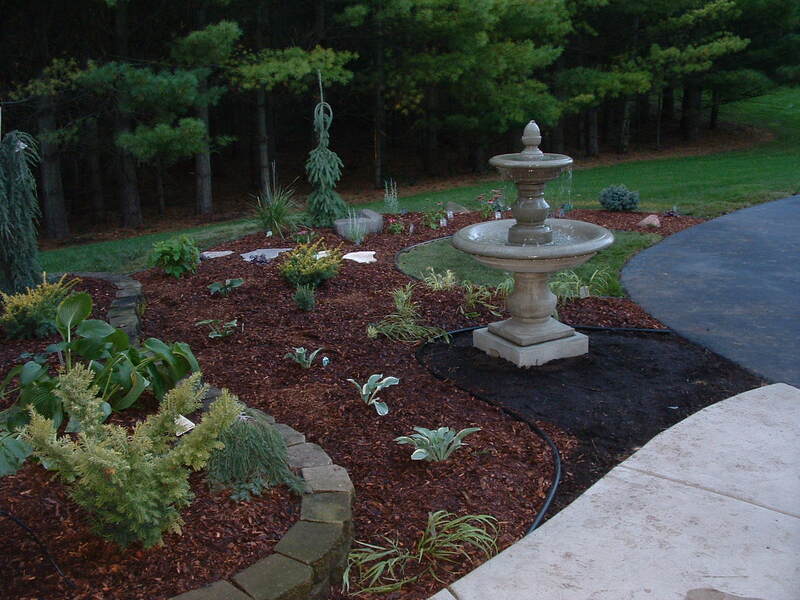 Services - Leslie's Garden Inc.
Every beautiful landscape begins with a beautiful and creative design. A sustainable landscape is one created for many years of enjoyment and beauty. Proportion, function, balance, texture and form, seasonal interest and color are all elements found in a well-designed landscape. We listen to you. You know how you live, what your entertaining needs are, how much maintenance you are willing to do, what general feeling you want your new landscape to have. We’ll take all the information you supply to us and create a landscape for you that enhances your living. Whether you long for a private and secluded patio, a grand area to entertain, or a serene garden, Leslie’s Garden can turn your dreams into reality. 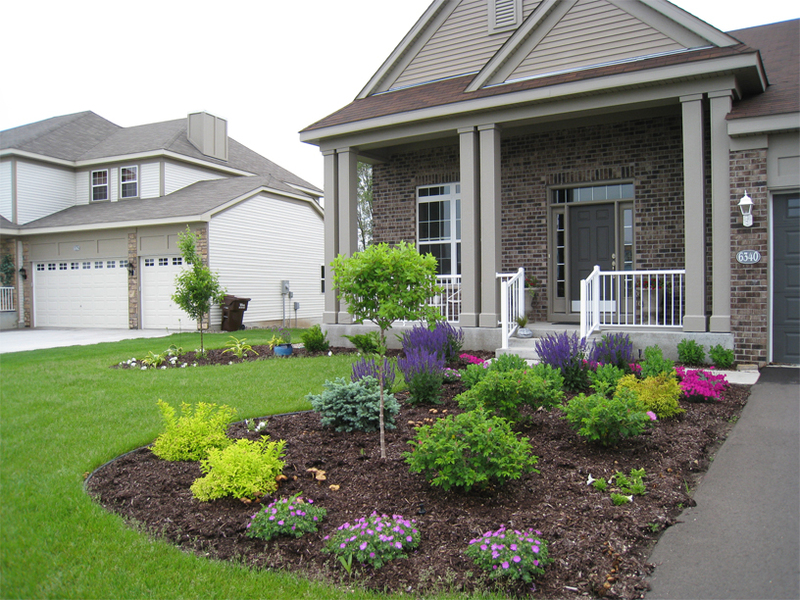 Our landscape installation crew is experienced and knowledgeable. They crew is lead by our foreman Jeff Weber who is a University of MN horticulture graduate. We use only high quality materials and take special care to install all materials correctly so they will provide you with years of maintenance free service and enjoyment. It is the combination of quality materials and quality installation that will provide you with the ultimate landscaping. When we complete your project, we’ll teach you exactly how to care for your new landscape so you will have no doubt how to keep it looking its best. 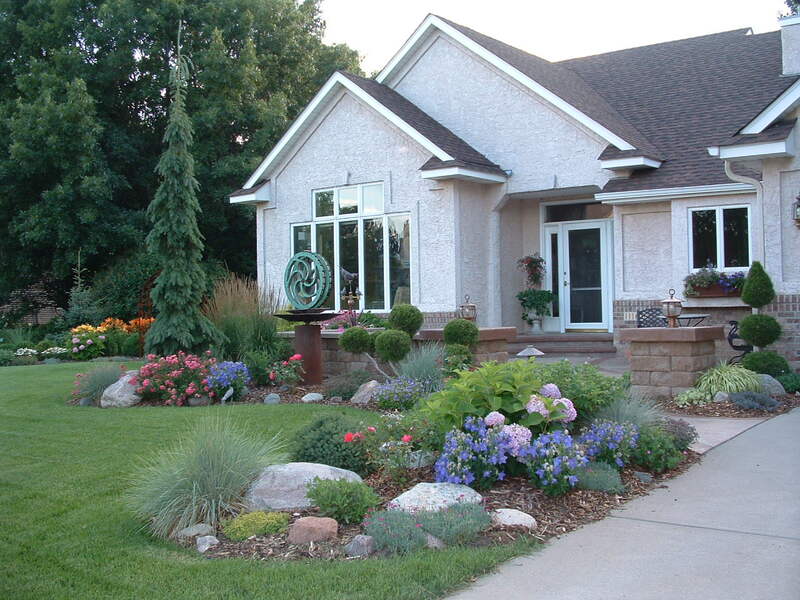 Overgrown plants and old landscaping will add years to the appearance of your home. 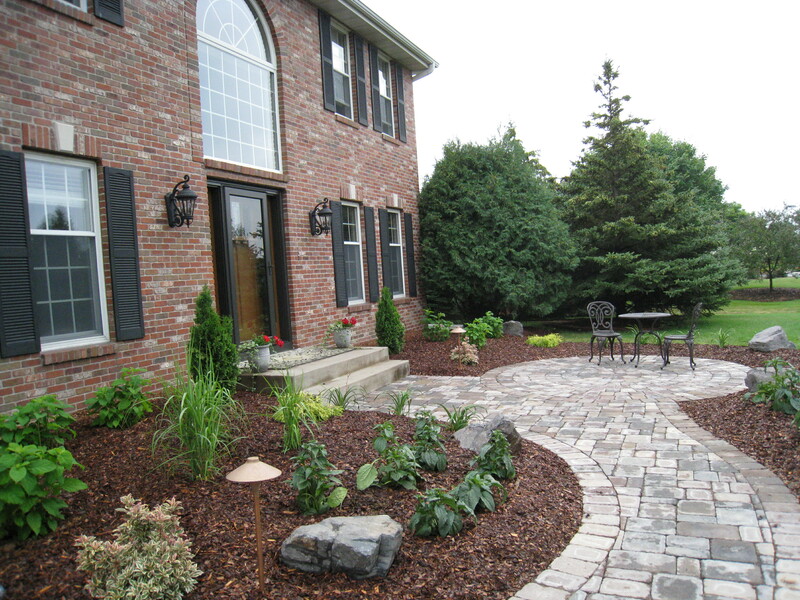 Revitalizing your beautiful home with a fresh new landscape will make your home look loved and young again. 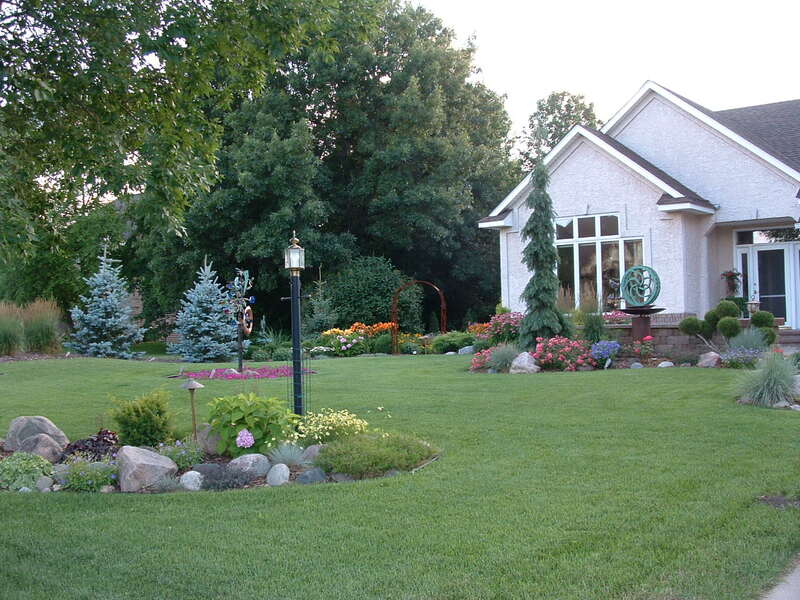 Leslie’s Garden will survey your landscape and together, with you, we will determine which elements should remain and which elements should be removed and replaced. As with every project, we start with an innovative and creative landscape design. Landscape lighting goes way beyond the “runway lights” you see along so many sidewalks. Leslie’s Garden provides quality landscape lighting installation which utilizes different fixtures, placement, wattages and beam spread to create exciting drama in your nightscape. We will beautifully illuminate your landscape using a variety of techniques such as uplighting, silhouetting, moonlighting, path lighting, grazing, crosslighting and backlighting. These techniques will highlight your landscape showing only the effect of the light, not the source of it. Landscape lighting not only adds beauty and enjoyment to your landscape, but also adds security, safety, and usability. An investment in quality landscape lighting will provide you and your family with years of trouble free enjoyment. Leslie’s Garden can install your patio, paver walkway, retaining wall or free-standing wall using any variety of concrete or stone products. The choices are unlimited when it comes to material selection and design of hardscaping. Design is a very important element to consider when choosing a hardscape installer. Leslie’s Garden would like to work with you to create a unique, beautiful and functional outdoor living environment. 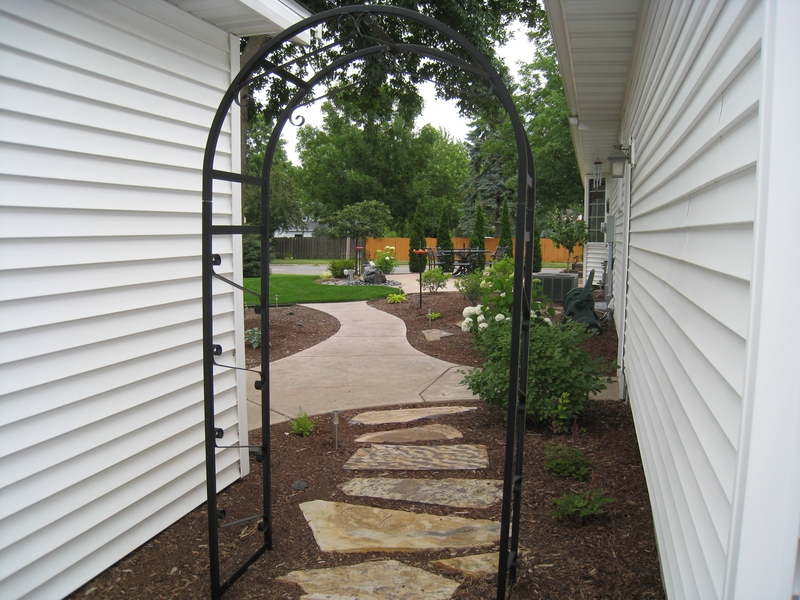 Our expert installers will install your hardscaping with skill and accuracy. It is the proper installation of the materials that will provide you years of trouble free enjoyment. The choices and combinations are virtually unlimited. Let us work with you to decide which products are best for your installation. The best room of your house might not even be in it! Outdoor rooms have become an exciting way for homeowners to add square footage to their home and enjoy the outdoors in style and comfort. An overhead structure as part of your outdoor room will provide measurable shade while adding a design statement to your landscape. A pergola is the “ceiling” to your room, making it cozy, inviting and comfortable, and allows you to enjoy being outdoors. Many styles and options are available to match your taste and lifestyle. A gazebo is an excellent way to improve the function and enjoyment of your outdoor space. Adding screening to your gazebo can provide the screen porch you’ve dreamed of for a fraction of the cost of a home addition. As part of a landscape designer business, Leslie’s Garden can incorporate beautiful and functional outdoor structures into your master landscape design. 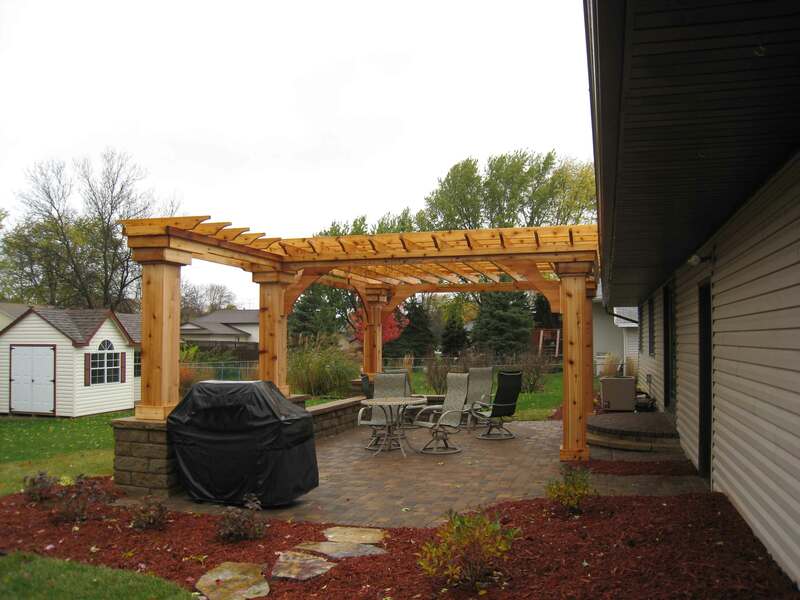 We can custom build well-designed wood structures to add the beauty and function to your landscape. Leslie’s Garden installs many types of water features, including waterfalls, pondless waterfalls, basalt columns, bubbling rocks, fountains and other types of water features. We will discuss options and maintenance requirements so you will be able to make an educated decision what type of water feature is best suited for you and your landscape. We use only high quality water feature components so your water feature will give you many years of trouble free performance. Leslie’s Garden provides a valuable and helpful service to the homeowner who needs a little help through a landscape consultation. A consultation is a flat fee service that will provide you with ideas for your landscaping and answers to your questions. You will be left with notes and the knowledge that will remove the doubt from your project. The cost of a consultation will save you money, time, frustration, and common mistakes. We will educate you how to care for your existing landscaping, provide you with ideas for improvements, and other information you will value. No need to go it alone — start with a consultation.